Teen-Beat 369. 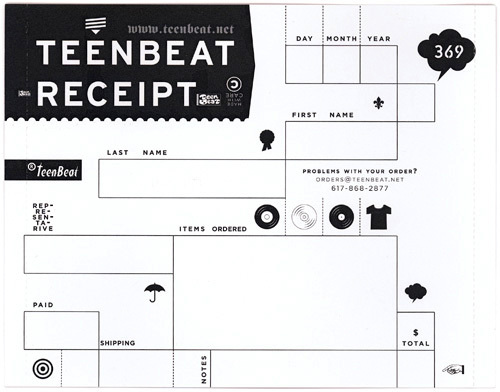 Teen-Beat mail order receipt form. A hand-written receipt form for our mail order customers. This form was used for a very brief time and not used very often. Printed on the reverse of the inlay card of Teen-Beat 285. Printed by Bellwether Manufacturing, Bloomington, Indiana, USA.